Devoted to the public reading of Scripture? In contrast – Have you ever heard someone say, “Let’s not read the passage – it’s a long one and we all know it”? 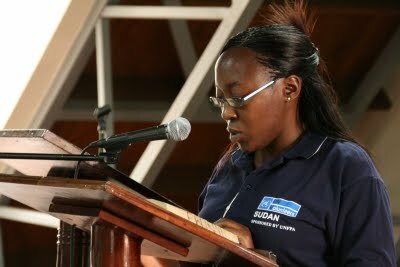 We’ve been thinking about public reading of Scripture recently at iServe Africa. The following is an abbreviated version of an article by Scott Newling (full article here) written particularly in the context of the Australian church but perhaps with plenty of challenge for our context in East Africa too. The apostle Paul instructed Timothy: “Until I come, devote yourself to the public reading of Scripture, to exhortation, to teaching” (1 Tim 4:13). Whilst we may be devoted to the teaching of Scripture, does the same hold true for our public reading of it? The question is not whether we read the Bible publicly; it’s not even if we recognize the importance or value of it. The question is whether we are devoted to it, whether it is readily and easily known to be our delight, our passion, our longing; the thing for which we joyfully labour and strive. Many evangelical churches are today characterized by what we might call a ‘relaxed liturgy’ (the idea that we have no liturgy is, of course, a nonsense, since we all have habits and cultures of doing church, even if it isn’t ‘codified’ in text like a prayer book). Within this relaxed format the church will hear one or two Bible readings of about 10-15 verses each. If they’re lucky. Increasingly there is only one Bible reading—and this Bible reading is ‘preparation for the sermon’ rather than standing in its own right. In a service that runs for around 90 minutes, the Bible reading usually takes about three or four minutes. (If there are mid-week Bible study groups then there may be some more public Bible reading there but if these groups follow the sermon series then there is no increase in Bible coverage.) In a given year, the church will publicly read about 780 verses, or 2.5% of the Bible. At this rate it will take 40 years for someone to hear the whole Bible read publicly. This is only if the sermons never repeat, and the congregation has an active policy to get through the whole Bible every 40 years. Which, let’s face it, they probably don’t. The service for evening prayer follows a similar structure. Further, with the assump¬tion that public services would be held morning and evening every day of the week, the Old Testament and New Testament readings would mean that over the course of the year the whole Old Testament would be read publicly once, the New Testament twice, and the Psalms twelve times. Compare that with 2.5%! I want us to be honest with ourselves as people who love the Bible. As we compare ourselves to this heritage (whether it is ours or not), is it possible for us to say that we are, in our churches, devoted to reading God’s word aloud? Imagine for a moment a church had three Bible readings: an Old and New Testament reading each week moving systematically through books, and a third reading for the sermon. We’d move from 2.5% of the Bible being read annually to 7.5%. What if these readings were about 30 verses (or one chapter) rather than 15 verses (or half a chapter)? We’d get through 15%. And again, what if we stopped running our Bible studies in parallel (following the sermon series) but had Bible studies different to the preaching? We’d read 20% every year; we’d get through the whole Bible once every 5 years. What if we actively promoted church as being a ‘twice on a Sunday’ activity, with discreet Bible read¬ing programs between services? After two and a half years, the whole Bible would be read publicly to those who came to church twice. Tradition – we’ve never thought about it before—we just inherited a church model. Unbelief in the power of the Word itself – When you go to church, at what point in the meeting do you expect God to do his work of transformation in your life? My guess is that, for many, the honest answer is the sermon. Don’t for a minute hear me dismiss Bible teaching! But shouldn’t we expect God to change us in the very reading of the Bible, not just the preaching of it? Have you ever noticed how we tend to pray to understand God’s word after the Bible reading and before the sermon? That the focus of the prayer is directed to what is to come (the sermon) as opposed to what was just heard (the Bible)? It’s great to pray to understand God’s word, but what does the location, vocabulary, tense and tone of that prayer teach the congregation about where we think the ‘action’ is? What confirms my fears is when I have raised this issue with lay people and pastors. When people have responded with a reluctance to have more Bible reading in church, it is almost universally because they believe that people won’t understand it if it stands on its own. And so we return once more to the clarity of Scripture. The lack of faith by ministers of the Word that the congregation can understand (by God’s grace) the Bible, which God chose to write as he did, places significant question marks over what people really believe the relationship is between Scripture, preaching and the Spirit in ministry. The value of public/church reading over and above private/home reading – Public readings guarantee that those who are unable (children, illiterate, functionally illiterate, poor, persecuted) or unwilling (unconverted, lazy, workaholic etc.) to read the Bible privately still hear God’s word. Furthermore, reading the Bible in the presence of others—with whom we can discuss and pray about it—is in the end of more value than private Bible reading (as valuable as that is!). The reason for this is that we have a problematic tendency in our sinfulness to deceive ourselves (Jer 17:9). We need each other to prevent ourselves from hearing God’s voice and yet hardening our hearts against it (Hebrews 3-4). The safety of hearing God’s Word – 1 Timothy 1:4 comes as an explicit contrast to what various elders and teachers in the church were devoting themselves to instead: the teaching of demons and myths, and promoting division and departure from the faith. By contrast, the sounding of the Word is a safeguard against and repudiation of false teaching. In our churches today, to what extent do we leave our congregations open and vulnerable to every wind of teaching because we are simply ignorant of what Scripture says? Could the prayer of Jabez controversy have lasted two weeks with¬out the general ignorance of the church about what the context of 1 Chronicles 4:10 actually was? 6. Where to from here? Devotion in elders – Staff and eldership teams, can I ask you to set aside a meeting to discuss this very issue? To ask one another pastorally whether you secretly devalue reading the Bible to each other? To ask what the evidence of your devotion to publicly reading Scripture is, seen in the way church is conducted week-to-week and across the life of the church over time? To spur one another in this matter, to ask “how much more?”, to pray for repentance if repentance is due, and to ask how the coming year will reflect the fruit of devotion to public Bible reading? Devotion in preaching and programming – Again, could I invite those involved in how church is structured to stop conducting the ministry of the Word in such a way that Bible reading is only a prelude to preaching? To have Bible readings that stand in their own right? When was the last time 1 and 2 Chronicles was read through in our churches? When will it ever be? And for those of us who preach, let’s do away with a somewhat bizarre habit that has developed in narrative preaching. Take 1 Samuel 17 for instance. It has 58 verses in it, so more often than not the preacher decides to only read some of the passage, because “reading it will take too long” (i.e., another three minutes). As a result, the congregation is then treated to 15 minutes of scene-setting by the preacher. If length was the issue, I’ve yet to meet the preacher who retells the passage quicker than actually just reading it out loud. Devoted readers – I suspect that some of us have feelings of reluctance about increasing our public Bible reading because we’ve sat through some truly awful attempts at reading the Bible. Attempts that confuse the meaning of the passage, rather than making it clear. Attempts that call for the ‘patient endurance of the saints’! And most of us have probably been perpetrators of such readings at some point in the past. I’m not writing this as a mockery of people who simply want to serve God and his people – but the fact remains that, in many of our churches, reading the Bible is the thing we get people to do simply to get them involved. Admirable in one sense, but in another it is predicated on a fundamental flaw: that just because I am literate and know how to read means I know how to read audibly. Public Bible reading is a gift—and not everyone has it. How much of our reluctance to sit under the Word is simply that we are so used to poor public reading that the idea of reading more than a few verses really does feel like misery? Let’s show our devotion to the public reading of the Bible by having gifted reading of the Bible where the Bible reader fades from view as they bring us into the text. That means training our readers, hand-picking our readers, and having the guts to ask people to stop (or step back ourselves) if they/we are not good readers. With a good Bible reader, we forget the amount of verses as we are immersed in and the reading ‘interprets itself’. As Mark Baddeley puts it: Clear public Bible reading is a weekly workshop in the clarity of Scripture. To have just one Bible reading, done poorly, as the introduction to the sermon, which then makes what had been unclear (the reading) clear is a weekly attack on the clarity of Scripture. Churches need to focus on doing public reading well—because it is a way of making the clarity of Scripture an ‘experiential’ truth. Linguistics and translation – Many people communicate very effectively by using a blend of two or more languages (e.g. 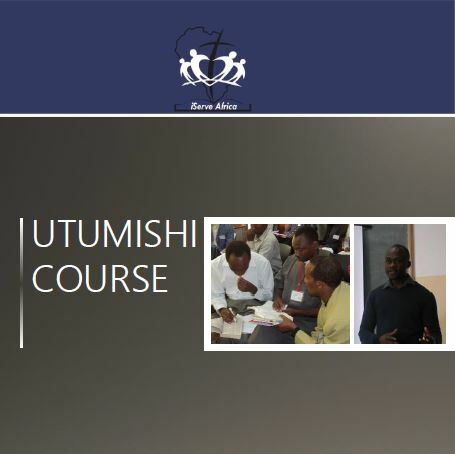 Kiswahili and English or Kiswahili and vernacular) but would not necessarily speak sanifu Kiswahili or the ‘Queen’s English’ or be perfectly fluent in their mother tongue). 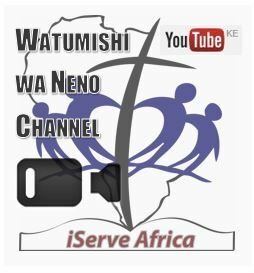 This means that the Kiswahili Biblia, the KJV or a vernacular translation may all have unfamilar vocabulary and grammar and be quite hard for the average listener to access. Literacy levels – To read a text aloud in public with fluency, meaning and passion takes not only gifting (as Newling says) but also a fairly high level of literacy. I have heard the Bible read in Kiswahili brilliantly but in some areas there may be few able to do this. Are these big issues to tackle? Are there other issues we need to raise and discuss? How can we be devoted in our churches to the reading of Scripture? Are the big problems practical or theological or both?